The 5th Biennial Conference of the North American Society for Comparitive Endocrinology (NASCE) meeting will be held May 24-28, 2019 at the Hilton University of Florida located at 1714 SW 34th Street, Gainesville, Florida, USA. 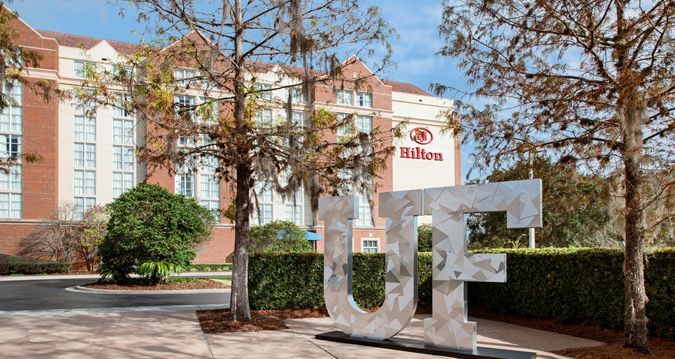 A block of rooms have been reserved at the Hilton University of Florida (host hotel) for NASCE participants. Please note that the block of rooms is limited and your reservation must be made no later than April 22, 2019. The room rate is $129.00 plus tax per night. Another block of rooms have been reserved at the Holiday Inn University Center for NASCE participants. Please note that the block of rooms is limited and your reservation must be made no later than April 25, 2019. The room rate is $109.00 plus tax per night. Transportation: Please note that you will be responsible for your own transportation to and from and the conference if you are not staying at the Hilton University of Florida (host hotel). Parking: Self-parking is free for both guest and non-guests of the Hilton University of Florida.